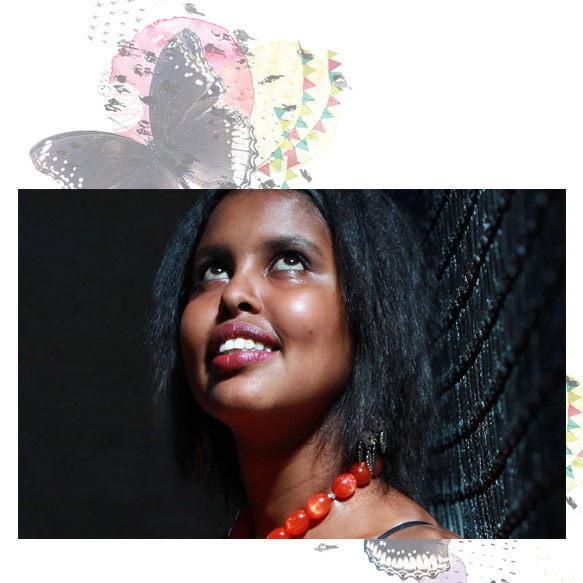 Hani Abdile is a writer and spoken word poet, who fled the civil war in Somalia. Although only 21, Hani has already lived more than most of us; being only 16 when she fled Somalia alone, she was forced to leave her siblings and family behind. She made her way to Australia by boat and spent 11 months on Christmas Island. While detained, Hani found healing in writing poetry. Hani began writing about her life and in part, it was to improve her English speaking and writing abilities. Hani is an honorary member of PEN International, a lead writer for the Writing Through Fences group, and has received numerous awards for her community work and many achievements since being released from immigration detention. Her first book I Will Rise was published in 2016 to critical acclaim. Hani continues tapping into the power of the spoken word, and has a strong vision to shape the world through pen and paper.